We offer our large open plan renovated loft just 3 km north of Paris. 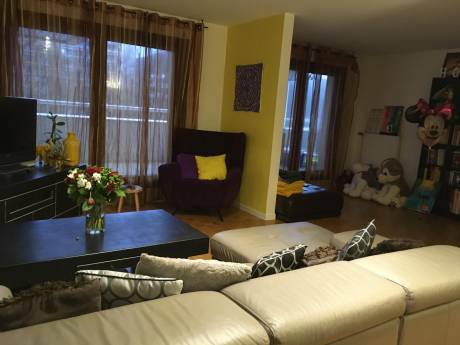 We live in a quite street, have a private garden, parking with a two minute walk to the metro. The space consists of 2 bedrooms each with double beds and a 3rd bedroom/study with a single bed (also available - a baby bed.) The kitchen is spacious, facing onto the garden, floor boards and oriental rugs through-out the house and a fire place in the living/dining area. There is an outdoor area for dining in the warmer months. My partner Stephane is French and l am Australian. We both work in artistic environments, Stephane works as an artistic director for the French Film Industry and l am a Painter/Sculptor. We are in our early 30's and have recently had our first child. We both have travelled alot and would like to continue to travel with our baby. We are both very open to exchanging houses/apartments and live flexible lifestyles between jobs. We are situated 3km north of Paris in the city of St-Denis. 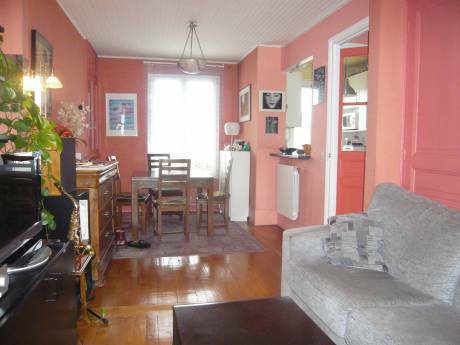 Our house offers you the chance to stay in a large open house with garden very close to Paris. The metro line 13 takes you directly into Paris approx 15 minutes to Saint Lazarre. We are a 5 minute walk to the 'Stade de France' where Concerts, Soccer and Rugby take place.